SHOP AR BARRELS & SAVE! Accuracy Got You Over A Barrel? We’ll Straighten Things Out! 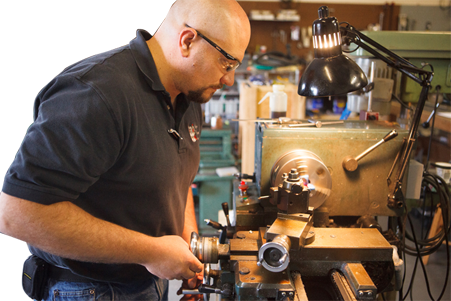 Using state of the art equipment, and finely honed manufacturing techniques, McGowen Precision Barrels aims to make the highest quality barrels on the market. The manufacturing process continues to undergo changes and improvements in the pursuit of perfection. The McGowen Precision Barrels name is making an impact in the industry, not only in hunting rifles, but are now becoming a favorite of long range competition shooters. You can order fully custom rifle barrels for your Savage, Remington, AR-15 and more. We also offer a wide selection of pre-fit barrels that are ready to ship directly to you. Check out our full offering of services to make your rifle great again! Shop our selection of ready-to-ship barrels. These are produced in the same way as our fully custom barrels. In some cases, these are unclaimed orders, production over runs, and other premium barrels in our inventory. Great deals delivered fast. Ready to improve the accuracy of your rifle? This is a great way to do that while saving money. Want the perfect barrel for your gun? We offer fully customized barrels, ordered online and hand crafted just for you. Please select the correct order form below. AR platform or Standard Rifles. This is the easiest way to order your dream precision barrel. Select your twist rate, contour, chambering, threading, finish and more! Upgrade the accuracy on your Save 10/110 or Savage Axis. Precision McGowen Accuracy brought to your Savage switch barrel rifle. Browse our available Savage Prefit inventory here. Order your dream barrel for your Savage, Remington, Mauser, Mosin Nagant, Ruger and More! Amazing accuracy in a barrel built just for you. Shop our selection of Remington and Remage prefit barrels. Get the legendary McGowen accuracy out of your trusty Remington rifle. Let us build your perfect AR barrel. 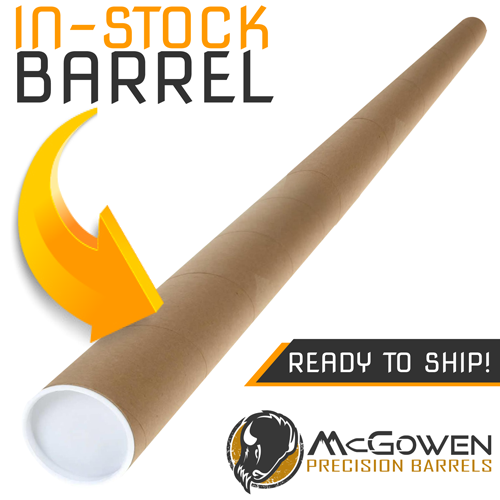 Use this order form to spec out a precision McGowen Barrel designed just for your AR build. Choose from a wide array of contours and gas system options. Shop AR-15 and AR-10 Prefit Barrels. Complete and ready to install on your AR. 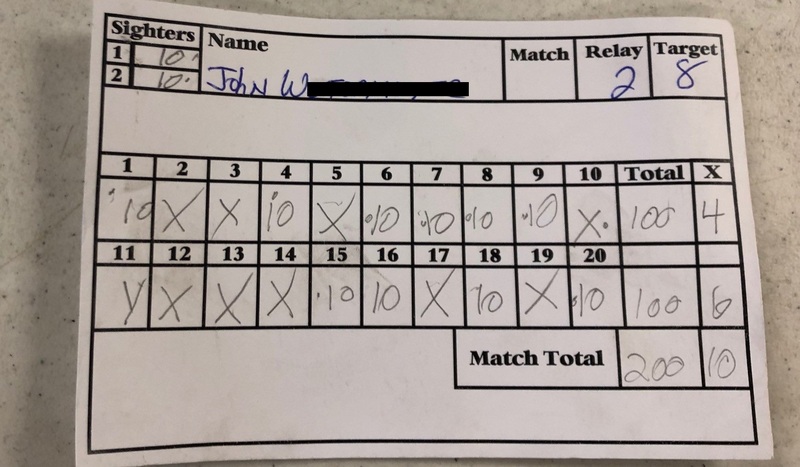 All McGowen Barrels delivery precision accuracy and hand lapped performance. The McGowen Precision Barrels name is making an impact in the industry, not only in hunting rifles, but are now becoming a favorite of long range competition shooters. Born from a proud history of master barrel maker Harry McGowen, McGowen Precision Barrels continues to push the boundaries of accuracy. From installations on bolt action, lever action and single shot rifles. We can install your barrel, sights, scope bases or sling swivels. We can also cut dovetails or drill & tap your receiver for scope mounts. While we don’t offer every service, give us a call or send us an email and we’ll discuss your needs and how we can help you achieve your goals. Need it fast? Check out our available replacement Pre-Fit Barrels. These barrels are chambered, threaded and crowned. Get shooting lightning fast! Prefit, custom rifle barrels available for replacement Savage, Remington, Ruger, Winchester, AR-15s and lots more. Here is a picture of my Mk13 build in .300 win mag with the McGowen barrel 5 shots at 100 yards, 1/4” Also at 100 yards, 3 shots into the fatal T.